Are you looking for alpha generating strategies? 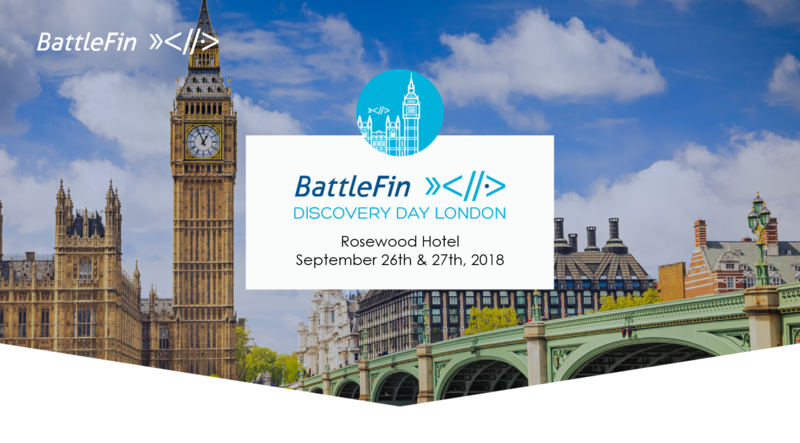 BattleFin Discovery Day's private event where Machine Learning and AI Investors, Managers, Data Providers and Systematic & Data Driven Hedge Funds come to find Alpha, Capital and Funding. As an Investor you will be able to meet with BattleFin and discuss the various Machine Learning and AI strategies that BattleFin has funded as well as participate in the cutting edge content focusing on Alternative Data. BattleFin Discovery Day Hong Kong 2018 not only will introduce you to new sources of alpha it also will bring you the opportunity to learn more about how BattleFin can help you connect with new liquid investment strategies. Ticket prices for Investors are $995 and will go up to $1,495 after Aug. 1, 2018 and to $1,995 after Oct. 15, 2018.